Since v3.1.2, reply to WhatsApp and Facebook Messenger messages has became possible on AirDroid Win/Mac. After that, we created a poll to collect your voice on which app (Telegram, Line, Kik, Viber, Hangouts...) to support next and it was Telegram who won the poll. As promised, Telegram was sent to the front of the queue for integration. 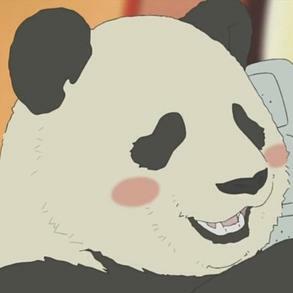 When it was done, the integration of the other apps begun. We were thinking of surprising you by adding message reply support for Telegram, Line, Kik, Viber and Hangouts. But we found serious bug with replying messages of Line, Viber and Hangouts: The reply sent via AirDroid will go to the wrong person, and we didn’t find a solution yet. It was awful and then we decide message reply will only support Telegram, Kik, WhatsApp and Facebook Messenger now. And we’ll keep working on this. How to Reply to Telegram and Kik messages? 2. 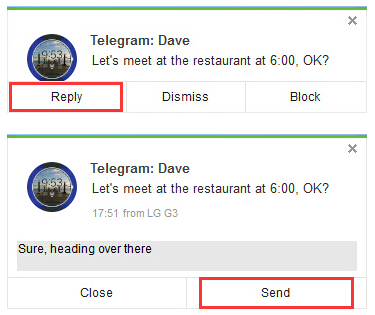 Click Reply when you get a pop-up of Telegram or Kik message, enter your words and click Send. AirDroid keeps adding new language support. And this time we add Русский and Português (Portugal). Wanna see your own language? Join us to teach AirDroid! We received feedback from you complaining the annoyance of the alert pop-up of connection interruption and we optimized it. In new version, AirDroid will detect the network environment and reconnect silently for you when your computer regain network. The new version also brings you the capability of customizing whether to hide SMS content in the notification pop-up in the Settings. And all notifications will be muted by default while your computer’s running full-screen program, you can disable this in Settings if you still need to be notified. 1. Optimized connection interruption alert to be more friendly. 3. Added an option in Settings to hide SMS notification content. 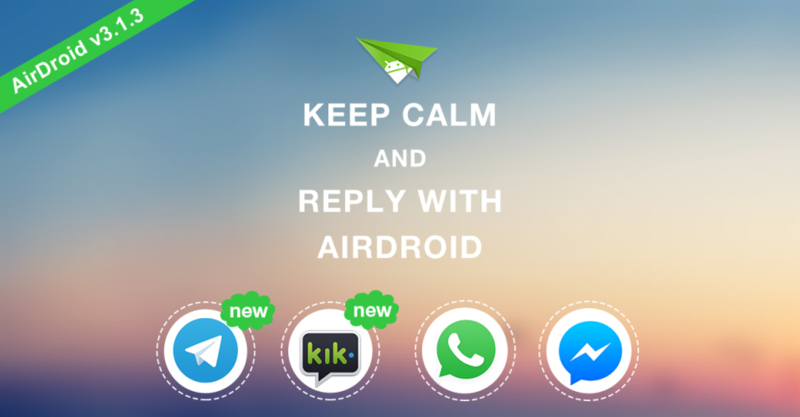 Re: [New] AirDroid v3.1.3 Update, Message Reply Adds Support for Kik & Telegram! Looking forward to more Android version. Copy that. We'll try to improve in future updates. Your app killer/ ram booster feature is buggy ! Showing incorrect percentage values for both pre and post "boosting". 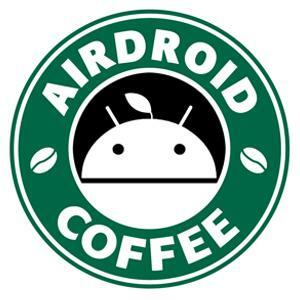 I've sent a detailed email to your biz@airdroid.com address. Also having dificulty dragging and dropping files, via chrome - phone connected to same wifi network method. Might be due to weak wifi signal on phone? Hence continual "upload failed, network error" msg. Does the problem happens all the time? You may try other browser to see if it works. You can post a new thread of your question in related board, so other users that encountered same question will help you too. it looks like a pretty good application. I hope it will be even better over time. Great Update. I have downloaded it and it's is so smooth. I like it a lot! This update of airdorid app seems to be not up to mark. As, when I have updated it from then on I can feel the app is getting stuck while working on it. I think[url=https://www.resumeshelpservice.com/livecareer-com-review/] livecareer resume review[/url] development team did not check it properly before releasing the update OTG to the customers. That is causing lot of lag while working.